Alia Luz is an International Project Coordinator at HITAP. She has a B.A. in Economics from Bryn Mawr College, USA. Her work involves bilateral and multilateral collaboration with international organisations, HTA networks, academic units, and country governments, to transmit HTA expertise and support capacity building. 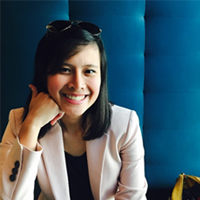 She is involved in a range of projects, including on HTA development conducive factors and barriers, domestic economic evaluation research in Thailand, quantitative research methods analysis, and capacity building for evidence generation in low- and middle-income countries.